GAITHERSBURG, Md., November 14, 2018 /3BL Media/ — Sodexo, a food services and facilities management company committed to Quality of Life, organized and hosted the first-ever Taking Root Student Symposium to demonstrate the organization’s commitment to buying locally-sourced products in Vermont and to teach college students in the state what it means to chart a career in food. 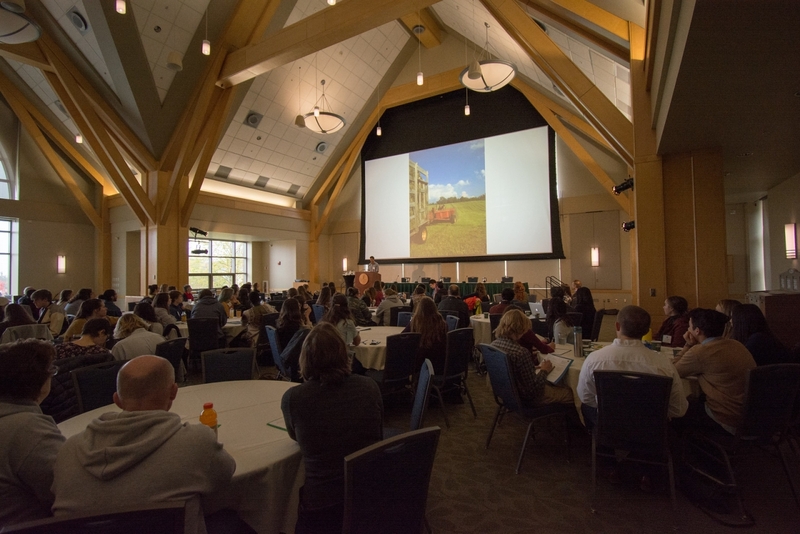 The symposium, which was held in partnership with the Vermont Agency of Agriculture and Vermont’s Farm to Plate, was just one of many strategies aimed at advancing Vermont’s local food economy through the Sodexo initiative, Vermont First. In 2017, Sodexo’s Vermont First program spent over 2.5 million dollars on locally-sourced food from approximately 195 local producers within the state. The Taking Root Symposium, held at the University of Vermont where Sodexo is the dining provider, brought together several Vermont colleges. Students networked with 20 local producers and suppliers, that are part of Sodexo’s supply chain and Sodexo’s Vermont First initiative, including Vermont Bean Crafters, VT99 Meats and Vermont Chevon. In a demonstration of the farm-to-institution initiative, attendees enjoyed an “eat the loop” meal, which is produced in a way that mitigates waste. Started in 2014, Vermont First is Sodexo’s commitment to help grow the state’s food economy by purchasing local food first. Under the program, Sodexo works with farmers, distributors, processors, state government, non-profits and supply chain players within the farm to table economy to increase the amount of local food grown and sold in the state and beyond. Sodexo incorporates local sourcing into the company’s overall purchasing practices to further support the communities in which Sodexo does business. As part of the organization’s corporate responsibility roadmap, called Better Tomorrow 2025, Sodexo is proud to enrich communities by sourcing local to focus on long-term sustainability.